Wastewater lagoons are used for the treatment of wastewater through physical, biological, and chemical processes. 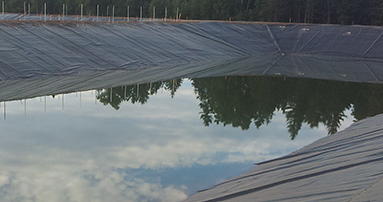 There are three main types of wastewater lagoons; Anaerobic lagoons, Naturally Aerobic lagoons, and Aerated lagoons. Each of which when lined properly, and under the proper conditions, will provide an efficient process for treatment.